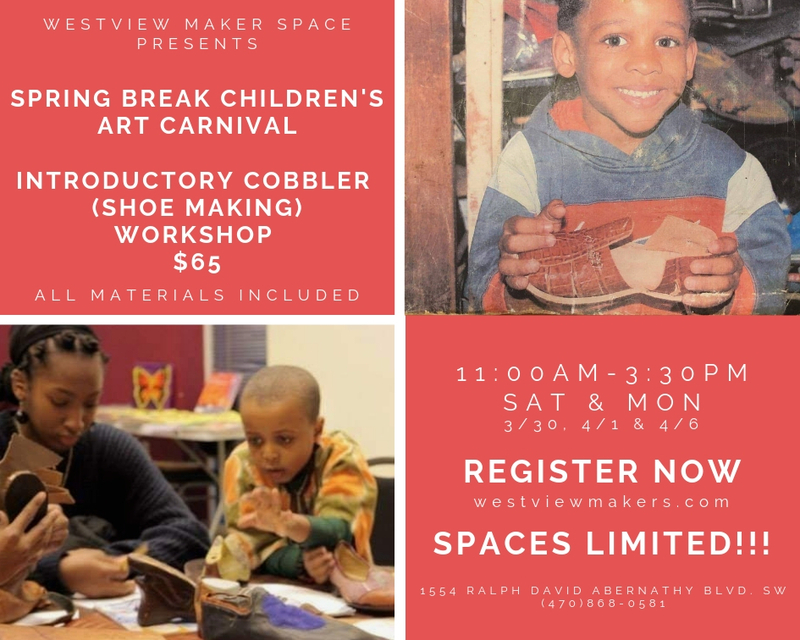 Westview Maker Space Children's Art carnival presents an opportunity to join us for the chance to learn the art of what it takes to be a Cobbler. This workshop is specifically geared for children to learn the basic skills and knowledge of the tools used to make shoes. At the end of this 4.5 hour workshop you will be able to take what you create home. *30 minute break provided bring snacks or money to shop local stores.